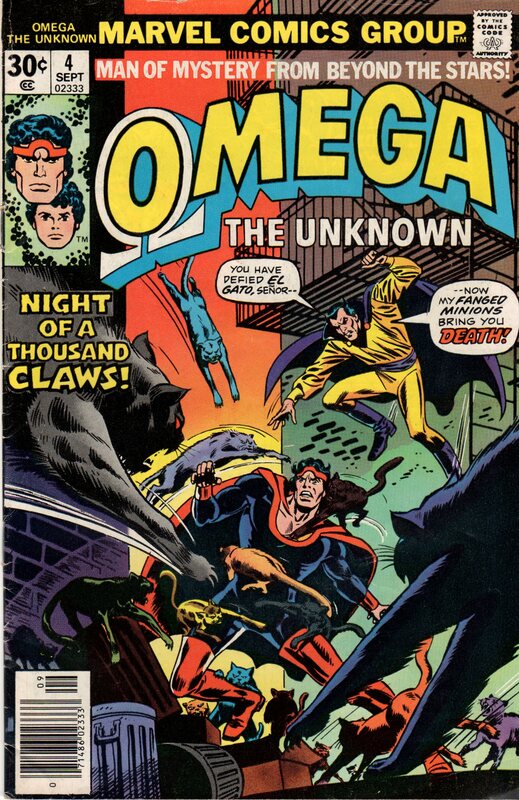 Omega the Unknown #4, 1976 “Cats and no Dogs!” | Magazines and Monsters! On my last adventure to the comic shop, I had several issues in mind that I was going to grab. The only problem was that those issues were nowhere to be found. I did the only thing any red-blooded comic book collector would do…I bought some other great comics from my favorite age, the Bronze Age! 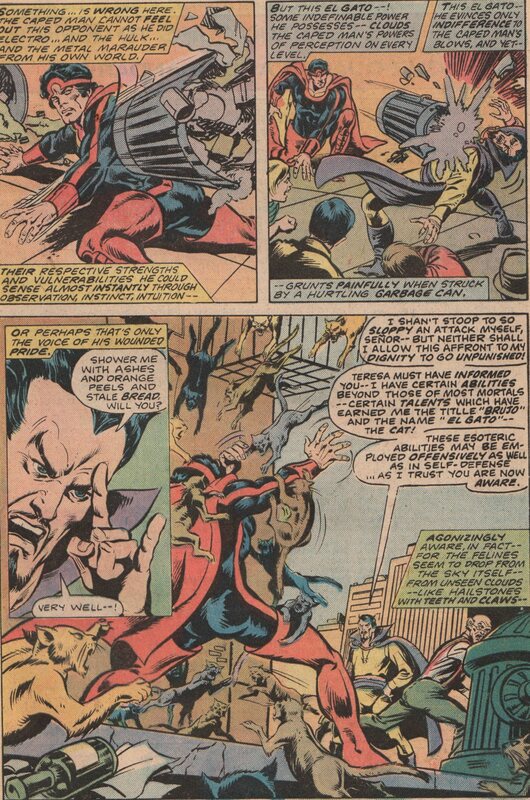 It’s no secret that I love the writing of Steve Gerber, so when I saw the opportunity to grab some issues of Omega the Unknown, I knew I had to do it! 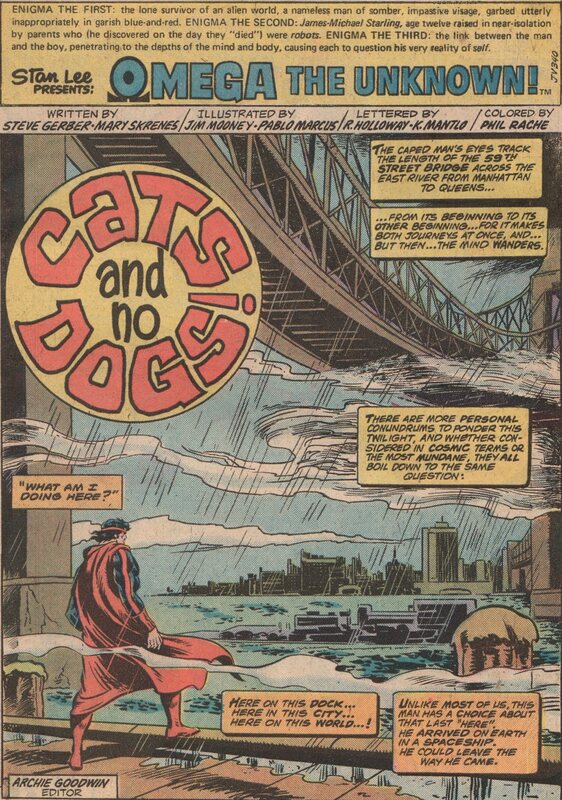 In this issue, #4, (of short title run of ten issues) we see the enigmatic hero faces off against one of the most obscure, and wild villains of all time, a man named El Gato! This wild man can control felines, and when you really tick him off, he’ll summon a multitude of them to viciously attack his enemies! Gerber (along with Skrenes), has always been known for writing well, but especially when the content is even more insane than the last. He portrays Omega the Unknown sort of like how Brian Bendis portrayed The Sentry. Very doe-eyed, and simple, but powerful as well. 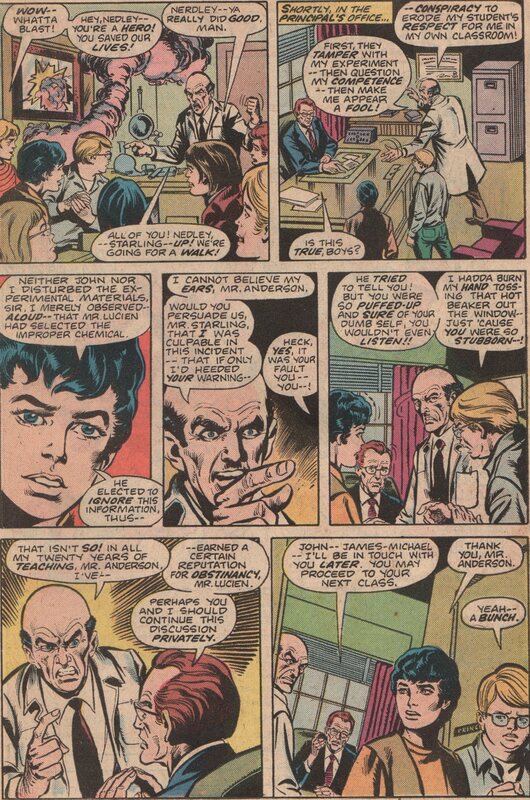 The flip side to the story is that we also get to focus on the boy named James-Michael Starling. This odd youth has two young lady friends, but doesn’t seem to realize what’s going on half of the time. 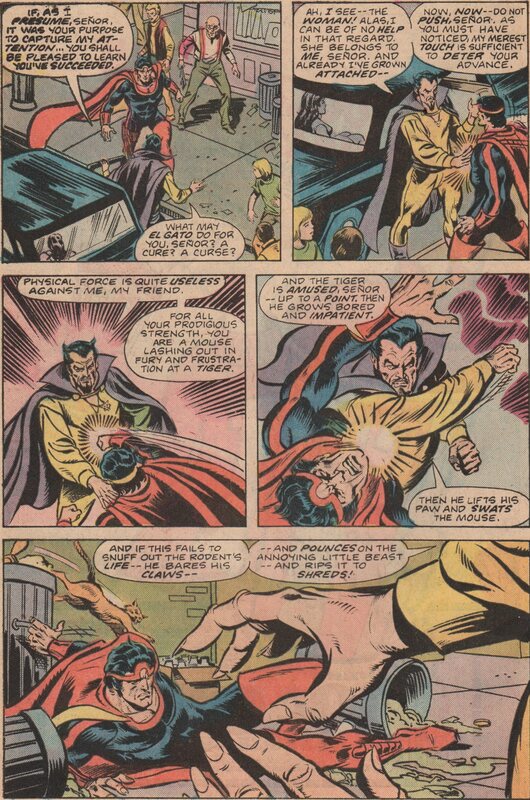 The artwork by Jim Mooney (pencils) and Pablo Marcos (inks) is very good, and will definitely turn some heads. 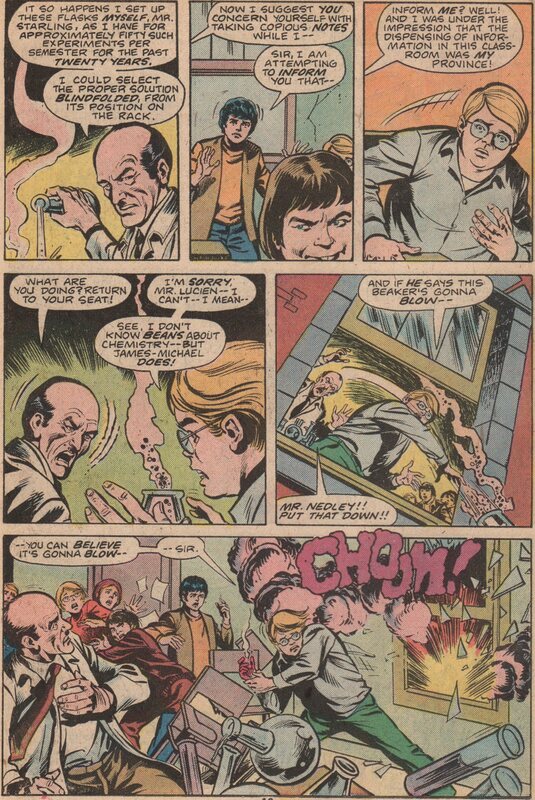 Colors by Phil Rachelson, with letters by Gaspar, Karen Mantlo, and Ray Holloway. The cover is by Howard Chaykin and Frank Giacoia!